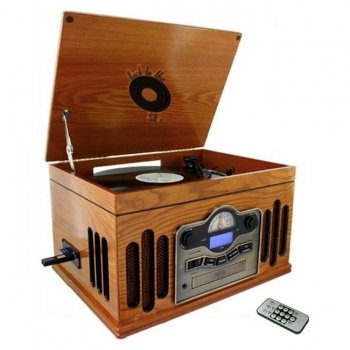 This 3-Speed turntable CD System Radio lets you play any record speed. The CD player allows you to play CDs and CD-R/RWs. Listen to your favorite stations with the analog AM/FM tuner.